Avengers assemble! 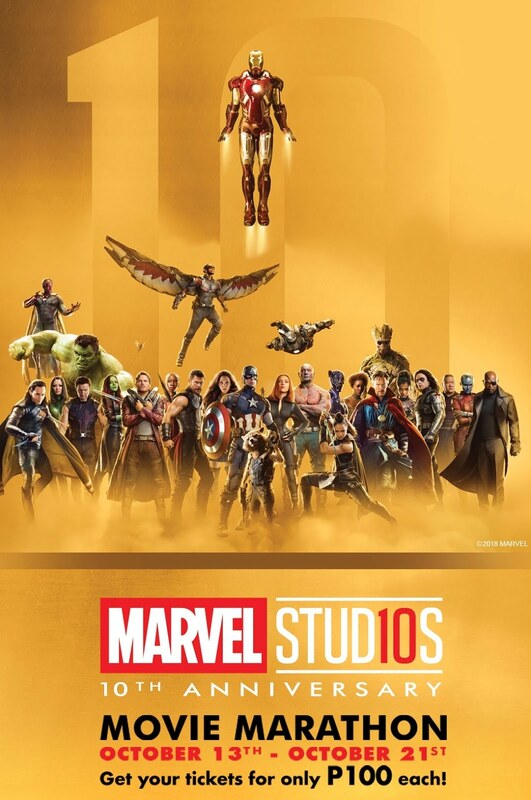 To celebrate an impressive decade of Marvel Studios blockbusters, starting October 13 and running through October 21, sixteen films spanning the entire Marvel Cinematic Universe will be returning to Philippine theaters for the Marvel Studios 10th Anniversary Movie Marathon. Beginning with Marvel Studios' "Iron Man," the first film to kick off the Marvel Cinematic Universe, and all the way through this year's releases of "Black Panther," "Avengers: Infinity War," and "Ant-Man and The Wasp," MCU films will be seen in the big screen again in participating cinemas across the country. Marvel Studios' unprecedented success over the last ten years is reflected in its cumulative box-office receipts worldwide. 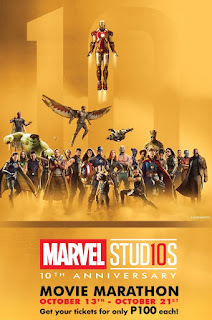 Legions of fans—both old and new—have enjoyed the live-action exploits of favorite Marvel Super Heroes in films that express the unique vision and creativity of the filmmakers, and deliver spectacle and thrilling action with relatable characters. Watch out for Marvel Studios' highly anticipated motion pictures -- Captain Marvel and the Untitled Avengers 4 on 2019.